Own a Home in Flatbush Brooklyn – Thinking of Selling – Inventory of available homes is low. Homes for sale in your Flatbush Brooklyn neighborhood are in demand, there are many qualified buyers waiting to buy a home. 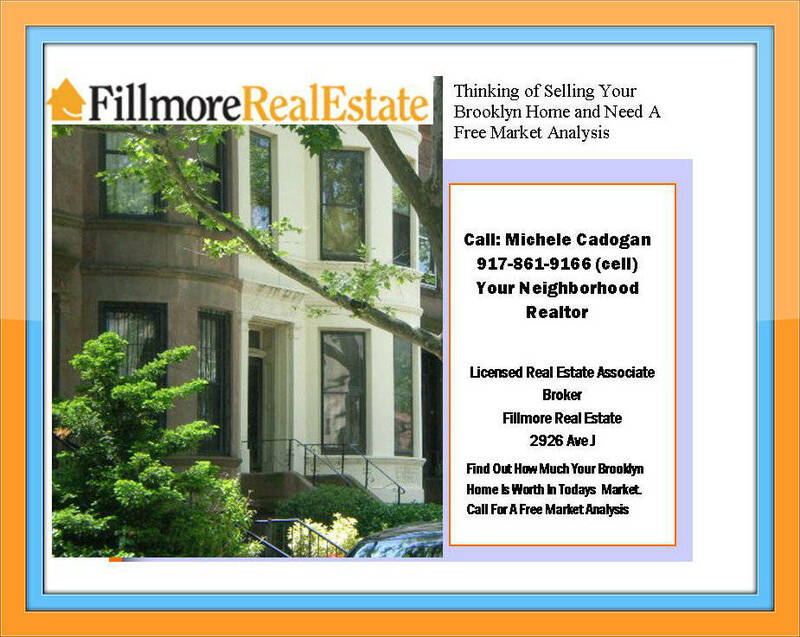 If you are thinking of selling your Brooklyn home and looking for an agent . – interest rates are at an all time low and there are homes for sale available at various price points. Brooklyn Home Owners : Thinking of Selling your home and need to know how much your Brooklyn Real Estate Home Is Worth , the price of Brooklyn homes for sale currently on the market, or simply how is the the Real Estate Market in Brooklyn , and you are looking for an agent who will List your Brooklyn Home For Sale, give you personal service and showcase your home with maximum marketing exposure to get it sold : Call me, Michele Cadogan at 917-861-9166 for a Free Market Analysis of your Brooklyn New York Home . This entry was posted in Brooklyn Real Estate, brooklyn real estate agents, free market analysis for my home in flatbush brooklyn and tagged how much is my home in brooklyn worth, looking for a real estate agent in brooklyn, thinking of selling my home in brooklyn. Bookmark the permalink.